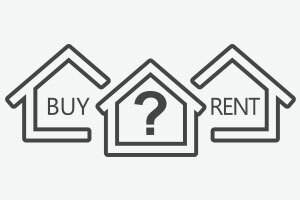 With So Many Qualified Boston Buyers, Why Are So Many Renting? According to an August Zillow Report, 18.2% of renters in Boston can afford to buy a home in the city. That’s 2% higher than the national average. Affordability was determined by combining a sufficient credit score and an annual income that would cover the median price of a home, $394,400 in Boston. Nationally, only 14% of on-market renters would actually be able to afford a home in the city they live in. Boston ranked number 7 overall for highest percentage of renters who are qualified to buy — so why aren’t they buying? According to an October Zillow Report, the United States has seen 51 straight months of increasing home prices. In the past year, home prices saw a 6.2% increase — which is right on par with the Boston market which saw a 6% increase. Rent prices also saw an increase of 3.3% in the Boston metro area and 1.4% nationally. This trend, combined with the 21st consecutive month of annual inventory declines is only making it more difficult for renters to buy. To make matters worse, Boston had the largest inventory drop of the 35 largest US metro areas. Compared to this time last year, there are 25.8% fewer homes for sale, compared to 5.7% nationally.